While I will always try to enter photos for this blog that show the area in a positive, or at least interesting light, there are times when that is not possible. Over the past few years, the Fort Bliss National Cemetery has been slated for a xeriscape project, which was begun about 18 months ago. However, the project has now literally sunk to new levels. Rains have sunk and damaged at least 400 graves and the entire 66 acres are nothing but a brown sludgy mess. If headstones are not slipping down (along with the entire grave), then they are splattered with a dirty brown coat of mud. Unless corrective action (fire the director and replant the grass) occurs soon, damage will continue until either the grass is returned, or it stops raining. Officials with the cemetery maintain that the cemetery sits upon ground that, when combined with the rains, turned the ground into a slurry that allowed the graves and headstones to sink. In the meantime, representatives and senators are investigating this mess and I hope we will see a "regime change" soon. I cannot believe it. My grandfather is buried there. granted, this was in september. according to an eptimes article, the cemetery looks better, but there is no telling what will happen the next time it really rains there. Four days ago I saw this news-worthy article on FOX news, and, yet, chacal la chaise claims this was in September!! The photos on FOX were worse than this. My parents are buried there, so surely, you can understand my anger. Who approved this eco crap?!! They should have their license removed and never work in this field again. You mentioned politicians working this problem...who are they? Could I have their mailing address? They are not working hard enough, as we all know. What a lack of respect for our veterans and the spouses and families that supported them and loved them with all their hearts. Thank you for this blog site!!! I'm not sure about a Fox news story (was it the El Paso station?). However, State Senator Eliot Shapleigh recently sent the following letter. Please note that a state senator has no immediate or extraordinary pull over this cemetery, which is under the purview of the federal government. To get action, please call, write or email your US Senator or House Rep from your state directly. In any event, thank you for finding this post. Believe me, many others are just as outraged; in fact, if I may turn your attention to this You Tube video, you can see that others are working to promote this outrage too. On September 24, 2007, I wrote to Mr. William F. Tuerk, the VA's Under Secretary for Memorial Affairs. I described recent flood and severe damage to graves at Fort Bliss National Cemetery. After removing the grass at the cemetery, sinkage problems became exacerbated and over 400 graves in the southern portion of the cemetery and in need of repair. The video above depicts the disgraceful status of far too many graves at the cemetery. To date, I have yet to receive a response from Mr. Tuerk. Many of our good friends are buried in the National Cemetery, and the care is not consistent with the respect that we owe to the men and women who served us and our country with such honor. I urge you to make a concerted effort to ensure that the VA uses all possible means of controlling both drainage and subsidence at the cemetery. Our veterans who have made the ultimate sacrifice deserve nothing less. Please write us within thirty days to deliver a status report on your efforts so that I can pass it along to the numerous constituents who have called us on this matter. 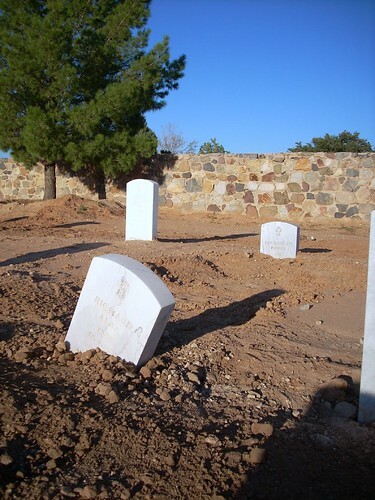 A new video has been posted on the shape of the Fort Bliss Cemetery - taken yesterday, April 13. Although the holes have been replaced, the place is still a mess. :( Very sad - just thought you'd like to be updated. thanks so much for commenting and pointing to the video. as it turns out, mj went there on saturday too. although he says some improvements have been made, the overall impression he got is still not good. And in 2013 it has happened again. But why the short-term memory, Major? "'Fort Bliss takes this very seriously,' Fort Bliss spokesman Maj. Joe Buccino said. 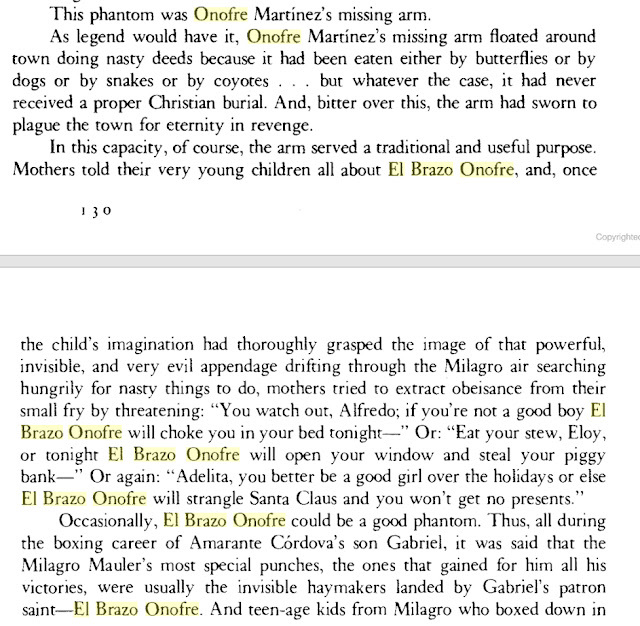 'Nothing in our recorded history of the cemetery has shown this to have ever happened before.'"